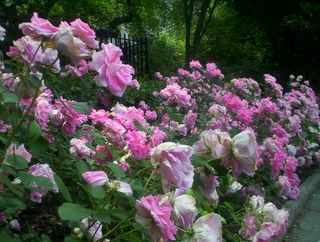 I arrived at 68th Street and Fifth Avenue (at Central Park) around 10:00 A.M. this morning. I took my camera with me as well as the Fodor's Guide my aunt gave me for Christmas last year (THANKS!). I took some pictures as I went. If you are looking for pictures of the major museums, see some of my previous posts for the Guggenheim. The Metropolitan Museum of Art's exterior is currently under construction and is not worth photographing. Andrew Carnegie Mansion. 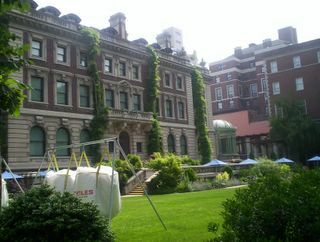 Home of the Cooper-Hewitt National Design Museum of the Smithsonian Institution. The Mansion, a 64 room house was built in 1901 and is located on fifth avenue (accross from Central Park) at 91st Street in Manhatten. Quite the site to see! Fountain in the Conservatory Garden in Central Park. 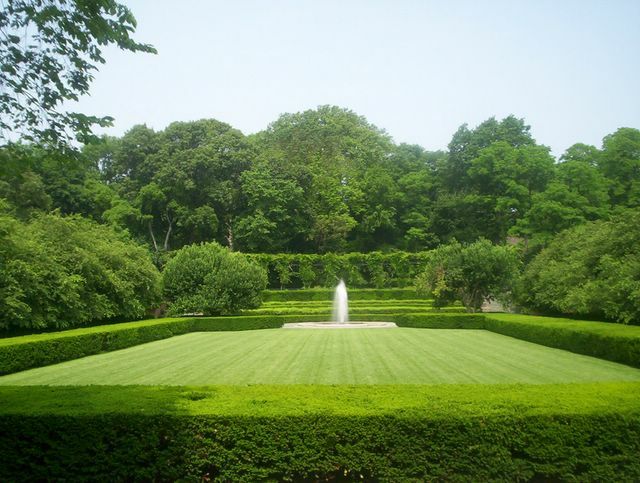 The gardens are in Central Park near the intersection of 5th Avenue and 104th Street. Rose Bushes of the Conservatory Garden in Central Park.